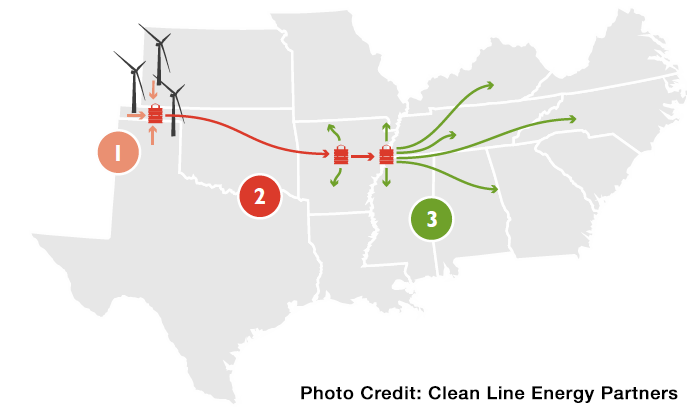 On March 25th, the Department of Energy announced that it will participate in Clean Line Energy’s Plains and Eastern Transmission Project, a public/private project that will deliver 4,000+ MW of wind energy from the Oklahoma Panhandle into load centers in Arkansas, Tennessee, and beyond. In addition to the delivery of 4,000 MW of wind energy to meet the increasing demand for renewable energy supplies, the project will be the first multi-state, high voltage direct current transmission project connecting large scale renewable resources in the mid and southwest to eastern and southeastern load centers. The $2.5 billion project—100% funded by private investment—will support thousands of jobs in Oklahoma, Arkansas, and Tennessee. Van Ness Feldman serves as counsel to the Plains & Eastern Clean Line Project on environmental permitting, electric regulatory, and government relations matters. Click here to read more about the groundbreaking Plains and Eastern Transmission Project.